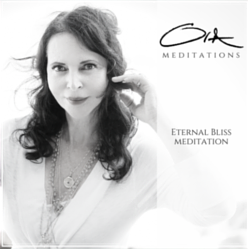 A new album of guided meditations by Ora Nadrich, now available everywhere music is sold. 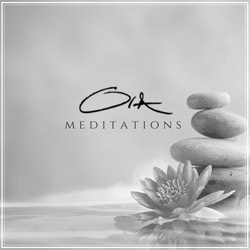 These meditations are artfully crafted to be deeply relaxing, heart-opening, and healing. Meditation does not need to be complicated. 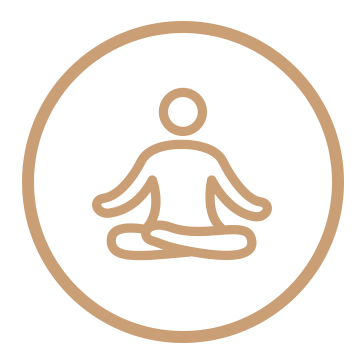 Ora Nadrich, Life Coach based in Los Angeles, shares how the simple and everyday things we do in our lives, like drinking tea or coffee, can be approached as a type of meditation to bring you into a state of mindfulness. Ora Nadrich, Mindfulness Meditation Teacher and Author of Says Who? How One Simple Question Can Change the Way You Think Forever, hosts her special Conscious Manifestation Workshop. 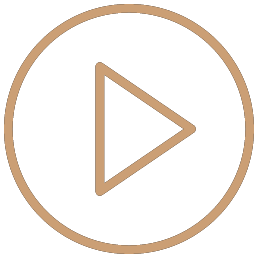 Living A Mindful Life, and explores how to overcome barriers or blocks that interfere with living a life of complete mindful awareness so that one can experience a variety of physical, psychological, and social benefits. Use this meditation for eliminating insomnia, alleviating jet lag, or simply experiencing your deepest sleep possible. Taking A Break From Thinking. Mindfulness Meditation is about being in the present moment with total awareness and non-judgement. Simply be aware, and "mindful" of whatever happens, and try not to stop yourself from thinking. During your meditation be aware of what your thoughts are, and anything your senses might be experiencing. Try not to analyze or judge your thoughts or feelings, but just allow them to "be." 1. Sit on a chair with your legs uncrossed and feet on the ground, or a meditation cushion either cross-legged or extended straight out. It's important that wherever you sit it's comfortable for you, and if you need support for your back sit somewhere that can do that. 2. Place your hands on your lap. You can put them either palm-down on your thighs, cup your left hand over your right, or palms up with your thumb and first finger touching. 3. Close your eyes, and try to relax the muscles around them. Take a deep breath in and a deep breath out. Continue to put your focus on your breath, and simply notice it flowing in, and flowing out. Don't force or manipulate your breathing, just allow yourself to breathe as naturally as you can. 4. As you breathe in, silently say the word "In," and as you exhale, say the word "Out." You can also say "Rising" and "Falling away" or "Letting go." If you find that your mind is becoming active, gently bring your focus back to your breath. Repeat this throughout your meditation. 5. Bring your awareness back to ending your meditation. Rub your palms together and place them over your eyes and face, or your heart, feeling the warmth coming from your hands. Put your hands down and open your eyes. 6. Take the time you need to gently transition to whatever you're going to do next in your day. Taking the time to quiet your mind with Mindfulness Meditation is caring for yourself in the same way you "mindfully" pay attention to the thoughts you think each day with The Says Who? Method. These two practices together are wonderful disciplines for becoming more thoughtful, compassionate, and conscious.